A long time ago, before we relied on our smartphones to take us from point A to point B, we relied on physical maps to guide us on our journeys. In the 18th century with their most up to date technology, much of the world was unknown and unmapped. This was because nobody had yet ventured there, or nobody had returned alive. To explain these uncharted areas it became comical for cartographers to print warnings about the mythological sea creatures sailors had fantasized. “Thar be monsters ahead” was one of the descriptions used. Luckily today we don’t have this issue in traveling, but we still come across unconquered terrains and the threat of monsters when it comes to investing. The Wall Street Journal recently completed an extensive study to find where the “monsters” of investing were located. The study took a look at stockbrokers across the country and searched for red flags which included: termination for cause, regulatory events, bankruptcies, complaints, and criminal disclosure. Below you can see the result of this study and the most affected areas (with #1 being the worst). 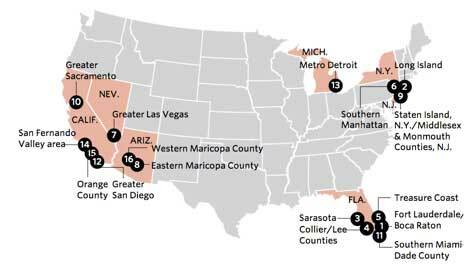 It might be shocking to see that two areas in Arizona, including Scottsdale (“East Maricopa County”) made the list. Since Capital Fund is based in Scottsdale and many of our investors reside here, I’ve provided the detail on what made it the 8th highest red flag area below. The chart below shows how much higher Scottsdale was for each category measured. As you can see it was significantly higher in every single characteristic measured. For the full study go to http://graphics.wsj.com/troubled-stockbrokers-hotspots/. It is always a good idea to know who you are going in to business with by doing quick google searches and making sure individuals have the proper licenses and satisfied requirements in order to be in the business that they are. 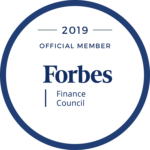 Capital Fund prides itself on never making a promise they can’t keep (we have funded every loan that we said we could) and to be as transparent and open through the process for first time borrowers or experienced investors that have used us over the past years.